Over the years we fill our minds with beliefs from the experiences we have in life. These experiences can sometimes leave empty spaces within us. They may be empty from rejection, hurt, unworthiness, anger, fear or grief. Over time, if I do not face these empty spaces and fill them with love, acceptance and healing, I am much more likely to have others reveal this wounded space. For example, if I have a belief I am not good enough, I may find I attract people in that remind me I still believe this. I may find myself in situations that set me up for failure or repeat yet again, I am not worthy. It doesn’t matter how much I tell myself this is not so, or that I am worthy, if I haven’t filled this space with healing and acceptance, I will continue to be shown. It can take time for these patterns and beliefs to change within me but once I heal these spaces, the universe will reflect this back to me. Keeping full means taking time daily to rejuvenate, listen and nurture my needs. Where is this empty space within me? When did it begin? Do I need to forgive myself or others, what belief can I finally let go of? Can I allow this space to be filled with love, healing and peace? I imagine and feel this space within, being filled with love, energy, light and peace. I breathe it in deeply, I deserve to feel full. I allow myself to rest in this moment of fullness. One of the most deeply beautiful and spiritual posts I have read! Thank you. I appreciate your comments Nico. Thankyou and blessings. Beautiful! 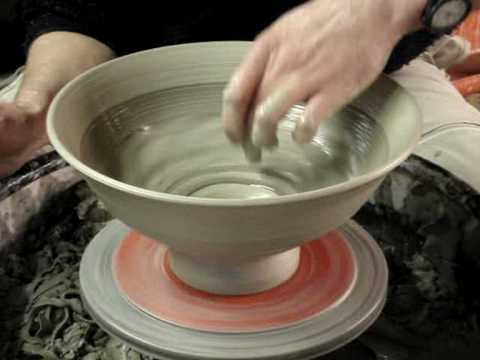 I really enjoyed the analogy between pottery and the space in our selves. Meditation is a life saver! Thankyou. Meditation is a wonderful life saver. Hello! A friend of mine recently went through a period of great transformation. She opened up to her artistic side and used the space she suddenly found in her life to live out of her newly found creativity. One thing she told me was that she became aware that she needed to be happy, and to have that happiness, she needed the courage to ask for it. One of the results of this was that creativity blossomed in her. Another result was that she needed to let go of negative people in her life. She let go of people dragging her down, despite years of knowing each other. Those people, according to her, could not get her anymore and could not accept her new, happy, self. Is this part of what you are suggesting with this post? To have the courage to see where we are, decide to be happy and let go of negativities, even in the form of people around us? Ciao!!!! Thankyou Jennifer, I appreciate that. I love that quote Eliza and it is very true. Thankyou. As a Catholic Christian, I am beginning the forty day observance of Lent. It is a time marked with prayer, fasting and almsgiving. Your post applies well. For the purpose of Lent is to become closer to Christ. And in that to be become better people. We are as the pottery in the image. We must remove some of the harmful habits that distance us from Christ. The best way to empty ourselves of vices is to crowd them out with virtues. I love how you said the bowel needs to be filled with love and self acceptance. If we don’t heal those old beliefs, they keep showing up. Thank you Karen. Great words of wisdom. Haha! Did I really say bowel? Well, you did say pot. 🙂 Obviously meant bowl. Sorry. Karen I really love this meditation and will give it a try, my challenges with my son’s autism is one I need to accept and let go. Some days are really hard. I try to fill myself up with love and acceptance. My lesson in life is definitely patience. I have a long way to go with that one. Thanks Elizabeth. The fuller I feel, the more I want to give!! Have a lovely day. The Dao does have great wisdom. Thankyou Randall for your comment. Nice to hear from you.